2013 - Chung won his first Futures title and a month later he defeated Kyrgios and Coric en route to yhe Wimbledon junior final (l. to Quinzi). He later made his ATP World Tour debut at the Malaysian Open, losing in the first round. 2014 - He won three ITF title and his first Challenger title in Bangkok. He also helped the South Korea Davis Cup team to stay in the Asia/Oceania Zone Group I and won the gold medal in doubles at the Asian Games. He finished the season ranked No.151. 2015 - Chung earned his first Grand Slam win at US Open (d. Duckworth, l. to No.5 Wawrinka in three tiebreaks in the second-round). He reached his first ATP quarter-final in Shenzhen (l. to No.14 Cilic) and claimed four titles in six Challenger finals in Burnie (d. Bolt), Savannah (d. McGee), Busan (d. Lacko) and Kaohsiung (d. Bhambri). He claimed 55 overall wins and finished the season at a career-high No. 51. 2016 - Chung advanced to his second ATP World Tour quarter-final in Houston (d. Estrella Burgos and Paul, l. to Isner) and earned his biggest win of her career by ranking over No. 34 Garcia-Lopez in Rotterdam. He also won Challenger titles in Kaohsiung (d. Lee) and Kobe (d. Duckworth) and lost the final in Nanchang (l. to Moriya). His season was shortened as he did not play in June, July and August due to abdominal injury. 2017 - The South Korean went 5-0 and defeated No. 1 seed Rublev twice, including the final, to capture 2017 Next Gen ATP Finals title. He broke into the Top 50 on August 14. At Challenger level, he did not drop a set en route to the eighth Challenger title in Maui (d. Daniel). Tennis: Chung won't be making his third appearance in Barcelona next week. Tennis: Chung picks up his fourth consecutive tournament withdrawal as he continued to struggle with a back injury. Tennis: Chung's series of consecutive tournament withdrawals ends at three as he intends to play Miami. 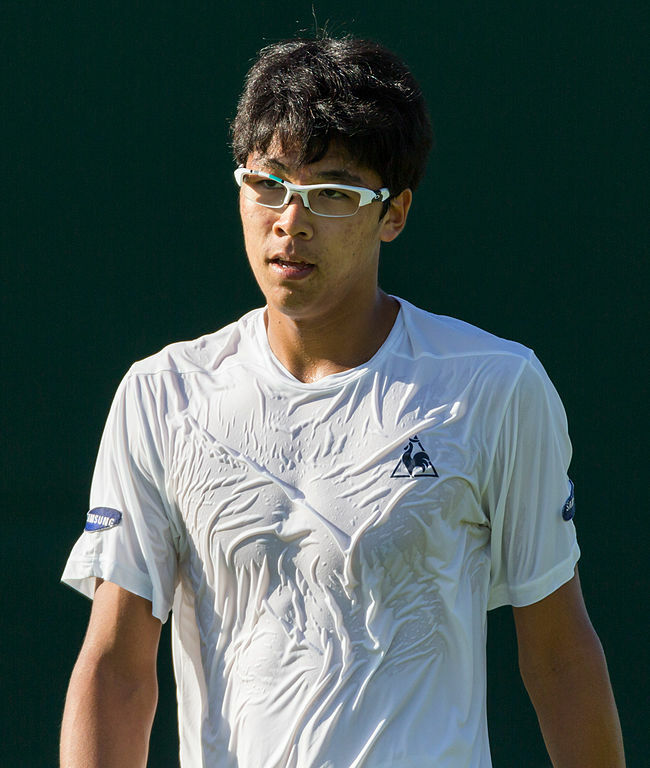 Tennis: Chung, 22, picks up his third consecutive tournament withdrawal.